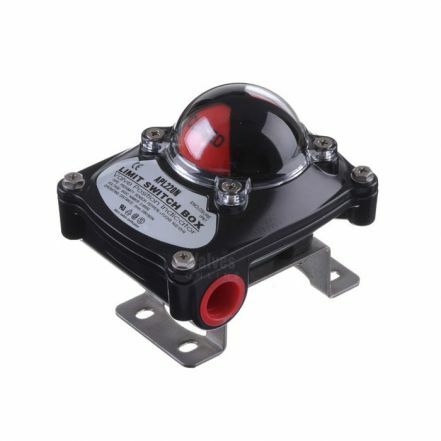 Our VOLT HP Pneumatic Actuator is a robust, reliable unit specifically designed for use with quarter-turn valves; used when high operation or fast cycling is called for, or in the case of spring return/open, when fail safe switching is required. In addition, our pneumatic quarter turn rack and pinion actuator is sized with a 30% safety factor built-in, requiring a pilot pressure of 5.5 Bar and carries ATEX approval and CE certification. Due to the wide torque range available please refer to the accompanying technical datasheet for accurate sizing and product selection. Body material: Hard anodised extruded aluminium alloy. End caps: Die cast aluminium epoxy coated. Approvals: EX, ATEX, CE and PED. All VOLT Actuators and Actuated Ball Valves are designed to meet the demanding needs of today's process flow control requirements. During build up all actuators and actuated packages are rigorously inspected and 100% factory tested prior to dispatch. Download the PDF datasheet for the VOLT HP Pneumatic Actuator.